Yesterday, my Masters Degree arrived in the mail from George Mason University. 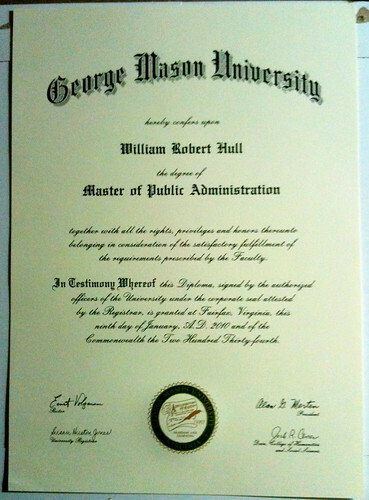 Even though I completed my coursework in December 2009, the degree was conferred on January 9, 2010. Does this make me a smarter person? That is anyone’s guess. However, it does demonstrate that I am willing to apply myself in any prolonged endeavor to better myself. It is not the end, but only the beginning of my personal development and education in the field of Public Administration and Nonprofit Management. It is a great moment and I am soaking up its significance for both my family and my professional life. I hope, in the future that by having this degree it will help me achieve my dreams and aspirations in life. Now comes the difficult part of utilizing it to greater benefit for both myself and society. 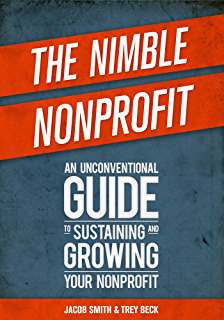 Previous Article: Nonprofit Membership Renewal Fundraising Appeal? Next Article: What Does It Take To Make A Group on LinkedIn Work?